After extensive original research and a decade as the world's highest-paid performance coach, Brendon Burchard finally reveals the most effective habits for reaching long-term success. Based on one of the largest surveys ever conducted on high performers, it turns out that just six habits move the needle the most in helping you succeed. Adopt these six habits, and you win. Neglect them, and life is a never-ending struggle. We all want to be high performing in every area of our lives. But how? Which habits can help you achieve long-term success and vibrant well-being no matter your age, career, strengths, or personality? To become a high performer, you must seek clarity, generate energy, raise necessity, increase productivity, develop influence, and demonstrate courage. This book is about the art and science of how to practice these proven habits. If you do adopt any new habits to succeed faster, choose the habits in this book. Anyone can practice these habits and, when they do, extraordinary things happen in their lives, relationships, and careers. 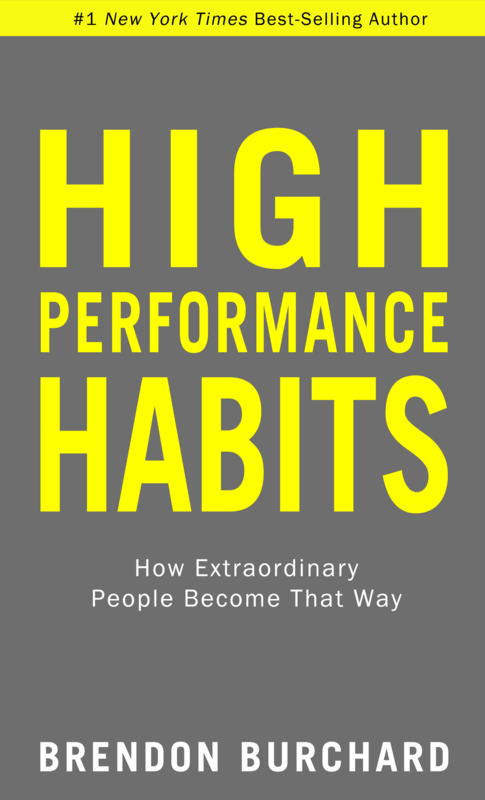 Whether you want to get more done, lead others better, develop skill faster, or dramatically increase your sense of joy and confidence, the habits in this book will help you achieve it. Each of the six habits is illustrated by powerful vignettes, cutting-edge science, thought-provoking exercises, and real-world daily practices you can implement right now. HIGH PERFORMANCE HABITS is a science-backed, heart-centered plan to living a better quality of life. Best of all, you can measure your progress. A link to a professional assessment is included in the book for free.